In this day and age, when someone asks how we’re doing, we often reply with “busy.” We wear our busyness with pride — framed as an indicator of how much we’re achieving, and how little we’re missing out on. Our accelerated lifestyles are impacting whole industries and sectors that are having to adapt how they do business in order to cater to clients’ increasingly hectic lives. The banking industry, for one, is seeing more changes this decade than it has in the past two centuries. In the wake of such global shifts, the many financial institutions in overbanked Lebanon are confronted with a serious need to innovate in order to cater to a widening array of bankable customers. That’s why most banks now have specialized websites and dedicated mobile apps (some, like Byblos Bank, have more than one app) for customers to access their accounts and perform tasks with a few clicks, taps and swipes rather than having to take time out of their busy lives to be physically present at a bank’s branch. 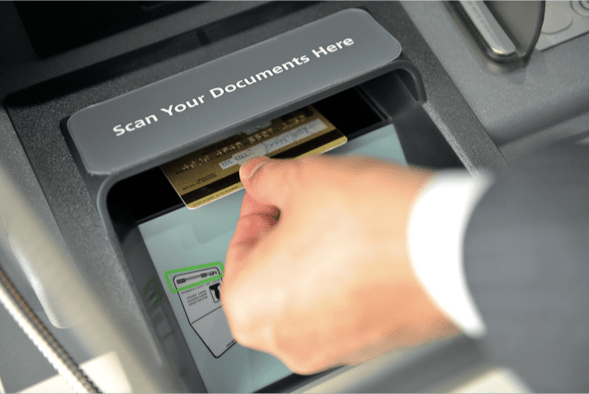 For Bank Audi, such services provide customers with both flexibility and accessibility. This is reflected in the bank’s various outlets; the largest local network of ATMs, NOVO branches that allow for 24/7 cash/cheque deposits and withdrawals, and come with Interactive Teller Machines (ITMs), as well as the announcement that their internet banking platform (Audi Online) will undergo a complete revamp. These alternative delivery channels are the first steps in Bank Audi’s omni-channel project, which will give clients a unified user experience and allow banking transactions over Audi Online from anywhere in the world. FNB recently introduced an ATM cash deposit service, which will be followed soon by check deposit capabilities and other new ATM services. FNB is also implementing a new omni-channel solution that will launch in June 2017. Rizk reveals that this internet and mobile banking service will provide customers with access to new services through diverse digital channels, allowing them to manage accounts and personal finance tools, as well as get real-time alerts, among other features. Rizk points out that electronic banking also benefits the banks. Its borderless nature helps institutions penetrate new markets and expand their geographical reach, which is especially significant in a country like Lebanon with many traveling nationals and a large expat community who have bank accounts here. The banks that Executive Life spoke to agreed that clients aren’t necessarily looking for new products or services, just new digital ways of using current services. 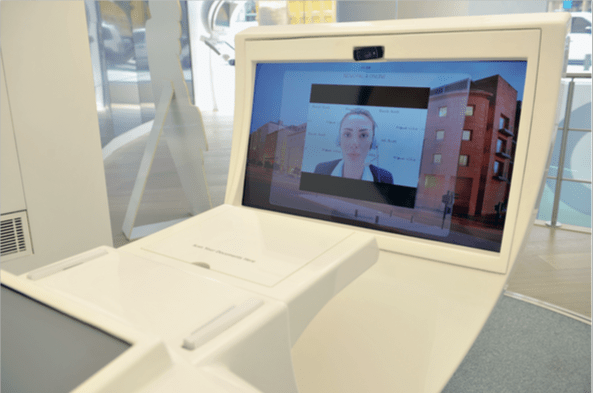 “[Clients] prefer not to come to branches — this is what’s changed with time — not their needs,” says Ronald Zirka, Banque Libano Française (BLF)’s head of retail and marketing. Bank Byblos’ Head of Group Retail Products Elie Abou Khalil explains that while less people want to come to the bank in general, it’s important to differentiate among transactions. “People don’t want to come to the bank to do regular transactions that they can do at any ATM or on their mobile. However, they want to go to the bank when they’re looking for advice,” he says, listing services like applying for home or car loans, choosing credit cards from among tens of options and starting savings accounts, as some of those still mainly done at bank branches. They are elsewhere in the world, loans are becoming increasingly popular in Lebanon. “Due to a noticeable culture shift, loans have become [more]socially acceptable, whereas in the past they were perceived negatively,” says Bank Misr Liban (BML) Executive General Manager Fadi Daouk. With more people taking out loans, there’s a loan for just about anything these days — like FNB’s much-talked-about plastic surgery loan that made international headlines a few years back. The Lebanese love to live life to the fullest, and people can increasingly pay for luxury in installments. BML’s “Marine Loan” and LGB’s “Yacht Loan” afford more people the opportunity to enjoy Lebanon’s beautiful waters on their own yachts. Most banks also offer personal loans that can be used for a variety of expenditures, such as vacations and consumer purchases. It’s Lebanon’s big fat wedding frenzy, however, that banks have long tapped into, helping to fuel the industry by satisfying big families who love a good party and granting excited brides and grooms the means to outdo other couples. Banks have also started to offer services beyond simply financing these extravaganzas. For example, Bank Audi’s new wedding loan package comes with a dedicated website that lets couples manage the details of their wedding, offers customizable solutions regarding guest invitations, and features a platform to help track gifts received. Banks are also seeking to gain new clientele by catering to new sectors. BLOM Bank has a special collaboration with the Beirut Port allowing clients to settle bills related to Port of Beirut charges at any branch or via the eBLOM mobile app. On the other hand, BML’s Daouk says, “[We’re] proposing new and innovative investment opportunities and financial solutions, as well as tackling untouched sectors, such as SMEs and the agribusiness.” One such offering is BML’s cow loan, a micro credit loan. “It’s designed to enable farmers in rural areas by supporting and encouraging them to secure revenues for the development of their agricultural projects, increase their productivity, and become leaders in their field,” explains Daouk. With more traditional loans for homes and cars, Zirka explains that banks need to be proactive by not waiting for clients to come knocking, but instead offering loans through third parties. He explains, “[BLF] is going to construction companies and getting the loans from them directly. Likewise, we’re not waiting for customers to ask for car loans anymore. We’re going to the car dealers and creating offers with them.” Zirka adds that processing is a lot faster now, which makes loans more appealing. “In 2010, a car loan would take 10 days to get dispersed. Now, a car loan can take 24 hours. This is how we’re reinventing things,” he says. Another segment that’s getting a lot of attention lately is youth. Byblos Bank has introduced something called “The Makers” for 18-24 year olds. This comprehensive package includes an account and debit card, and has all the features this demographic needs: no fees, ample discounts at local businesses, the ability to use the card online — where, according to Abou Khalil, this segment uses most of its purchasing power — and a smooth transition into adult banking once they hit a quarter of a century. Similarly, BLOM’s NEXT program for 12-25 year olds offers an account and discounts, but also uses a mobile app that allows NEXT users to easily send money to other NEXT users through the app at no cost, transfer money in Lebanon, get prepaid cards for online use, and recharge prepaid phone lines. Cards are a big trend too. Many of the banks that Executive Life spoke to have rewards schemes to encourage people to use them. Other cards work with airlines to give users miles and access to lounges. Rizk stresses the importance of new and updated offerings, saying FNB is “constantly introducing new credit card schemes, each tailored to a specific audience and offering a wide range of benefits.” And while contactless cards that are “tapped” or “waved” in front of machines are not as popular as in the US and Europe, they are apparently on the rise in Lebanon. However, with so many different offerings, people are increasingly confused by what choices to make, and how to deal with their personal banking affairs. Many customers still prefer going to the bank and discussing finances in person. For that, some banks have increased flexibility by extending the hours during which clients can consult with experts instead of adding more tech features. “LGB was the first [Lebanese bank] to introduce ‘Banking by Night,’ which provides customers with flexible banking hours, making the bank one of the very few financial institutions in Lebanon to open its doors for a second shift from 7 p.m. to 10 p.m.,” says Itani. On the other hand, BLOM has also introduced an Extended Advisory Service, which “offers 24/7 real live assistance, where eBLOM users can use video or text chat with any BLOM agent from wherever they are in the world and at the time that best suits them,” says Elias Aractingi, general manager at BLOM BANK. Other banks also have 24-hour call centers for their clients to seek assistance. Banks are not only presenting a ton of new offerings to clients, but also changing the way they communicate with them. More financial institutions are using social media to display their products, especially those geared toward younger clients. Branding has become increasingly important, with many banks revamping their identities in recent years, as well as enhancing websites and creating cool and catchy commercials. At BSL, it’s also about packaged offerings catered to specific needs. “The services and products offered depend on the targeted niche. For instance, needs and offerings will not be the same if a bank is targeting high-net-worth individuals, or if the targeted niche are small and medium enterprises,” Alouf says. Forced to evolve, banks are devising new products, services, delivery channels and communications to retain clients. Abou Khalil says competition is important because it means better offers for people to chose from. “We’re all trying to compete to give the best services to the customer and to be relevant. If you don’t innovate and create new services you’ll become obsolete very quickly,” he adds.